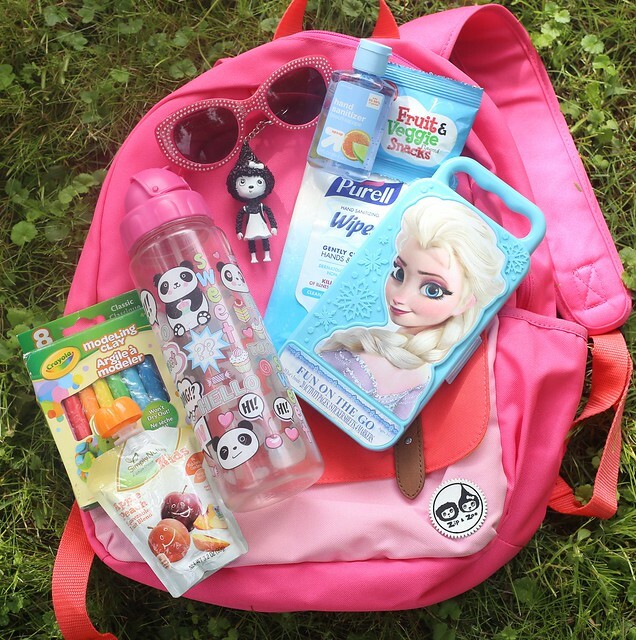 This post is sponsored by Babymel Bags, but photos and opinions are 100% my own. 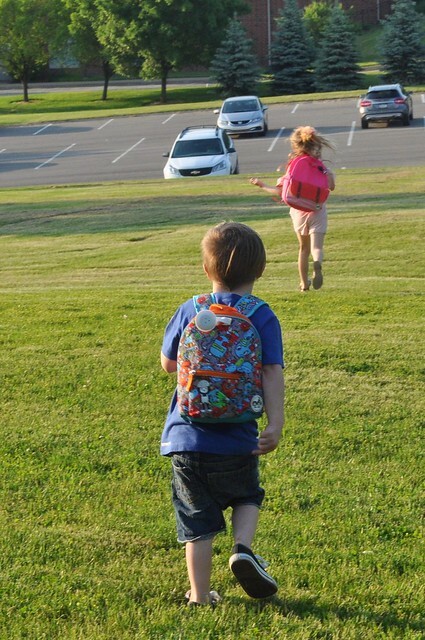 It's officially Summer Break, and my kids are gearing up for all the adventures that are ahead of us! While it's true that we're going to have an unscheduled summer, we will still have many adventures together as a family. The next 2 1/2 months will be filled with the things we WANT to do, not the things we HAVE to do! We temporarily said goodbye to soccer, dance, basketball and storytime, so we have an almost empty calendar during Summer Break. 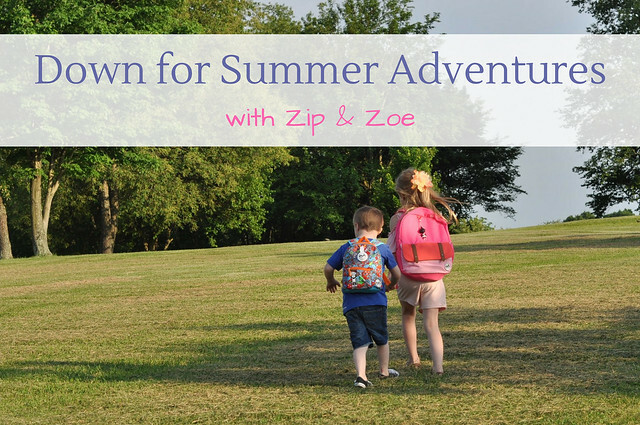 Instead of just being filled with commitments, our days will be filled with summer fun. After all the running we did this past year, I think that sounds like a fantastic plan! 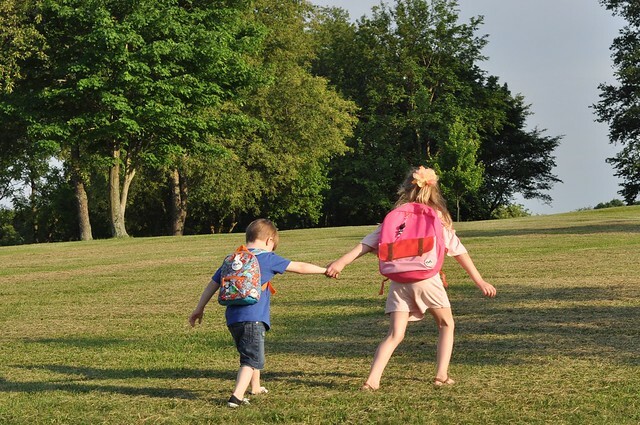 🌞Try to visit a different playground each week. 🌞Hang out with friends as much as possible! 🌞Camp out on the trampoline. 🌞Visit the library every 2 weeks to get new books. 🌞Roast marshmallows over a campfire. 🌞Enjoy the Summer Reading Program at our local library. 🌞Continue Family Movie Night once a week. 🌞Continue Family Game Night once a week. 🌞Have an indoor family camp out in our living room. 🌞Go see movies in the park. 🌞Go to an amusement park. 🌞Have LOTS of sleepovers with our closest friends. 🌞Make our own ice pops. 🌞Have a water balloon battle. 🌞Have a water gun fight. 🌞Play on the slip 'n slide. 🌞Catch fireflies....then let them go. 🌞Have a sponge water bomb battle! 🌞Spend as much time with family and friends as possible. 🌞Create a dinosaur garden in our backyard. 🌞Go to the water steps in Pittsburgh. 🌞Plan a few mini trips with our kids. 🌞Go to a water park. 🌞Play basketball at a local court. 🌞Visit an outdoor Farmer's Market. 🌞Go to a baseball game. 🌞Go out on a boat. 🌞Keep a summer memories journal. 🌞Go to the drive in. 🌞Relax and watch the clouds. 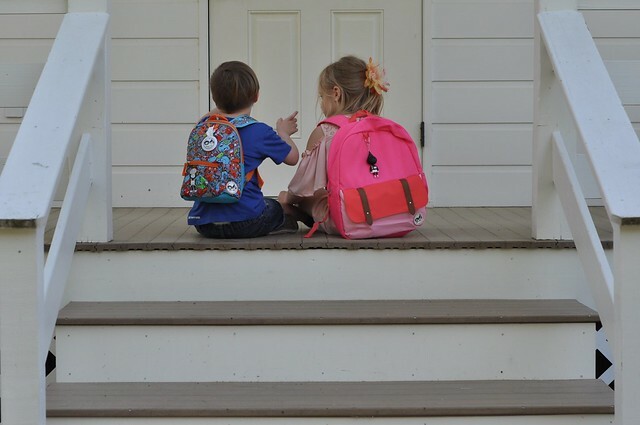 Many of of the activities on our Summer Bucket List involve leaving the house, so to prepare for our Summer adventures, Lily and Liam packed their new backpacks from the Zip & Zoe line from Babymel Bags with all the necessities. Although I keep our SUV fully stocked at all times, it helps to have the things they need within reach! 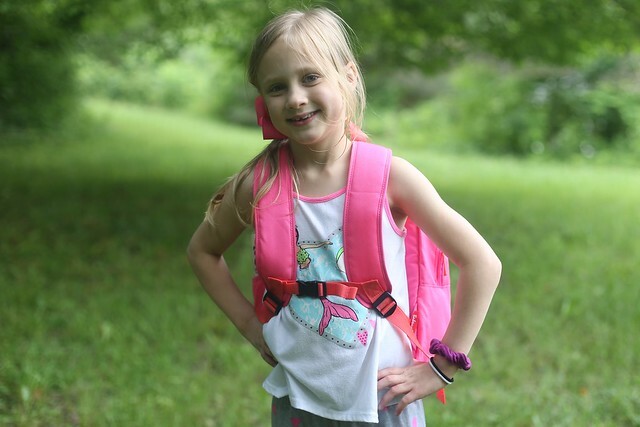 Lily's Junior Kid's Backpack in Hot Pink Colour Block is perfectly sized for all of her adventures! 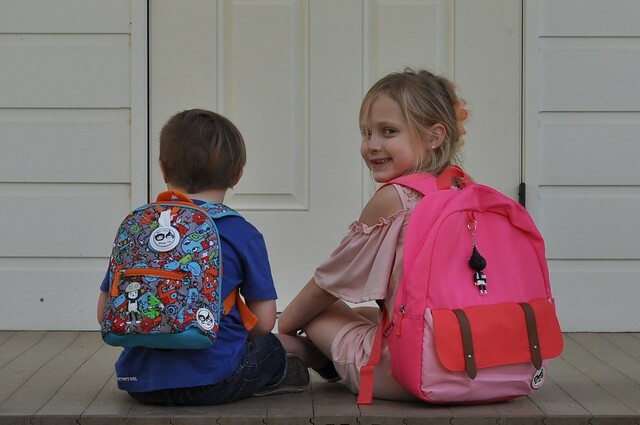 The roomy backpack features a pocket on the side which is perfect for holding cups, a front velcro pocket, a main zipper compartment, adjustable shoulder straps that are padded for comfort, an interior velcro pocket, a chest clip for added security, a spot to label the backpack, and a cute Zoe figure. Lily is tackling summer in style! 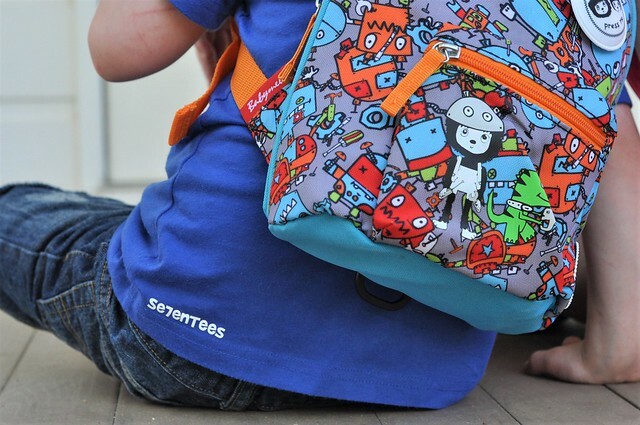 Liam's incredibly versatile Mini Backpack + Safety Harness/Reins in Robot Boy is a super cute otion for my little explorer! Liam is almost 5, but he's very small for his age. 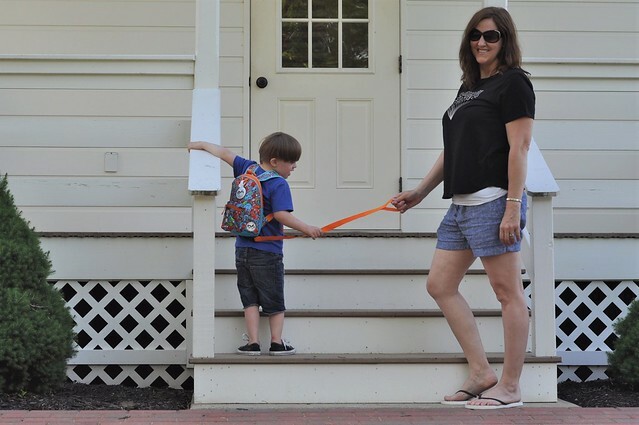 Most backpacks are too big for him, so this mini backpack is a great option! 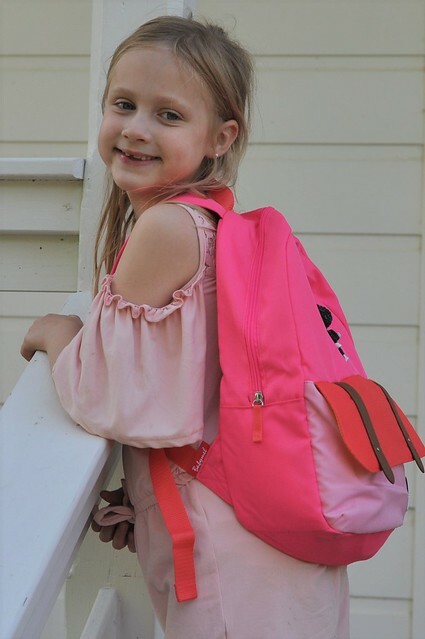 The backpack features a small front zipper pocket, a main zipper compartment, a spot to label the backpack, an interior cup strap to keep cups in place, adjustable padded straps, a chest clip, and a musical Zip & Zoe tag. My favorite feature, however, is the detachable "reins." 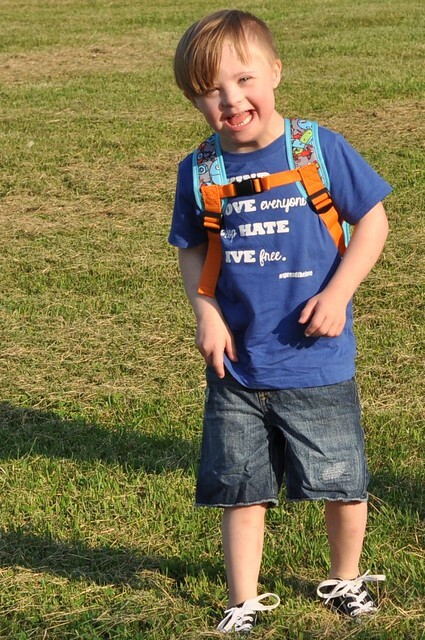 I used to scoff at harnesses for children...that is, until I had Liam. 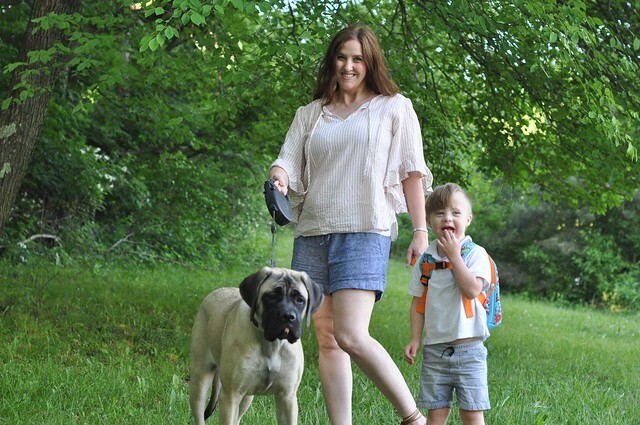 A common issue with kids who have Down syndrome is elopement. Liam has NO fear, he's very adventurous, and he loves to explore. If he wants to go somewhere, he will get there as quickly as possible, no matter what. After several experiences of my heart skipping a few beats when he eloped, I agreed that a safety harness IS the right choice in some situations. I don't care about judgement...I only care about the safety of my child! 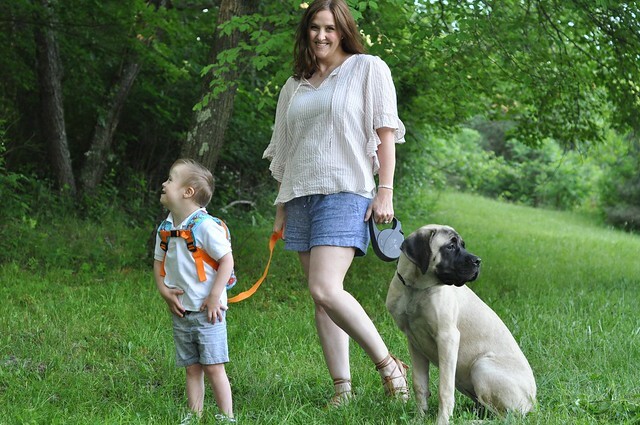 This mini backpack converts quickly into a safety harness, and when I'm ready to let Liam run free, I can simply unclip the "reins" and let him go! 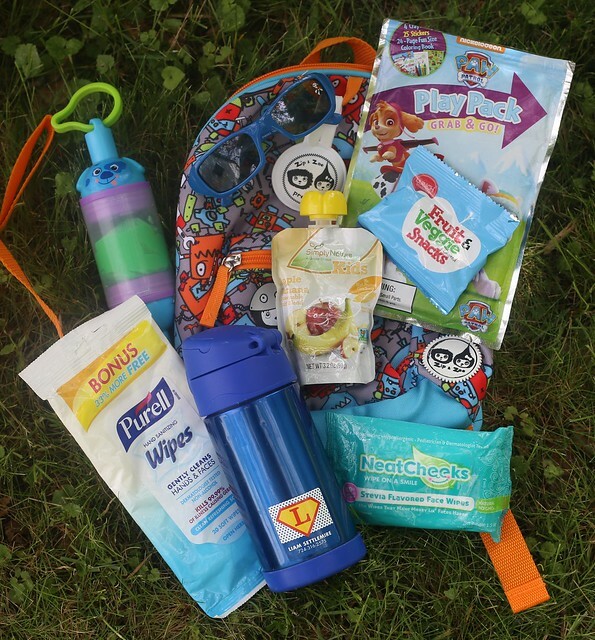 Lily and Liam's "Summer Adventure Packs" are ready to go! 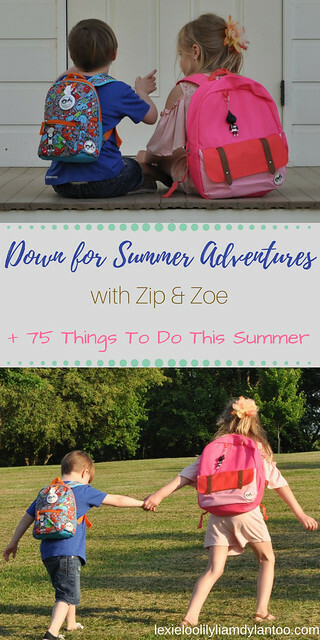 They are down for summer adventures, and Zip & Zoe will come along! We are just a few days into Summer Break, and my crew is ready for anything! Bring it on, Summer! 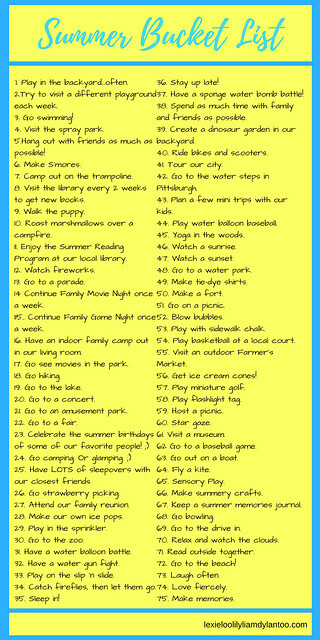 We can't wait to check items off of our Summer Bucket List, and experience fun summer adventures together as a family! What a great list! We are going glamping this summer too! Thank you! Glamping is the only way to go...haha! Wow, what a list! You guys are going to be busy this summer! Enjoy! Thank you! I'm glad we're only going to be doing what we want to do this Summer! 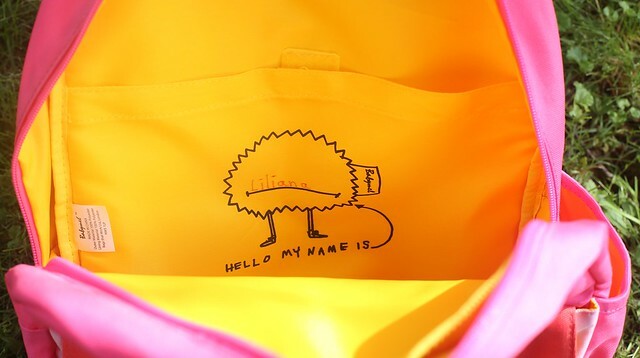 These bags are so cute! I love that both Lily and Liam have their own goodies ready to go. And I just realized Lily is Liliana - that's my youngest niece's name! 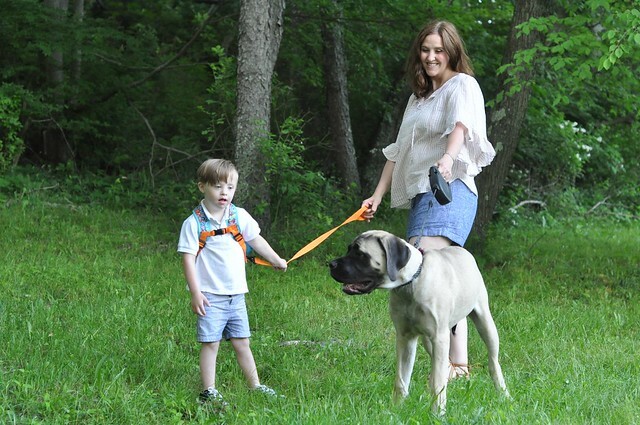 And seriously - harnesses are so needed for some kids. There should not be judgement. Thank you so much for saying that! It really is that simple. XOXO That's awesome that her name is Liliana. We haven't run into too many with that name! A great bucket list! 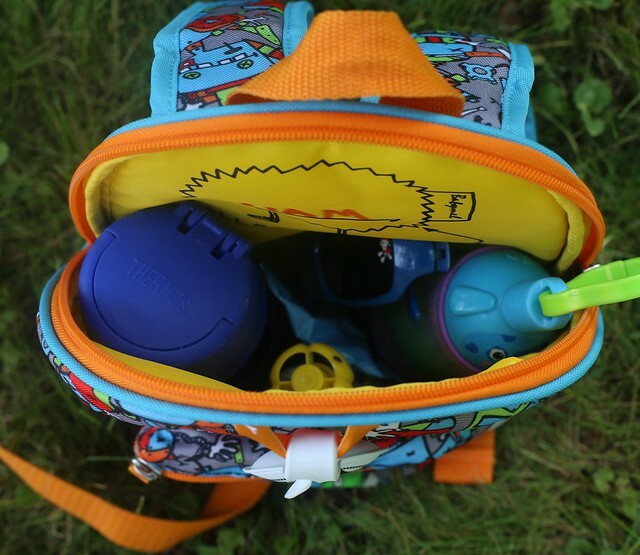 I particularly love water gun fights - like ambushing the kids Caspar plays with from the house or just throwing a bucket of water on them out the window. 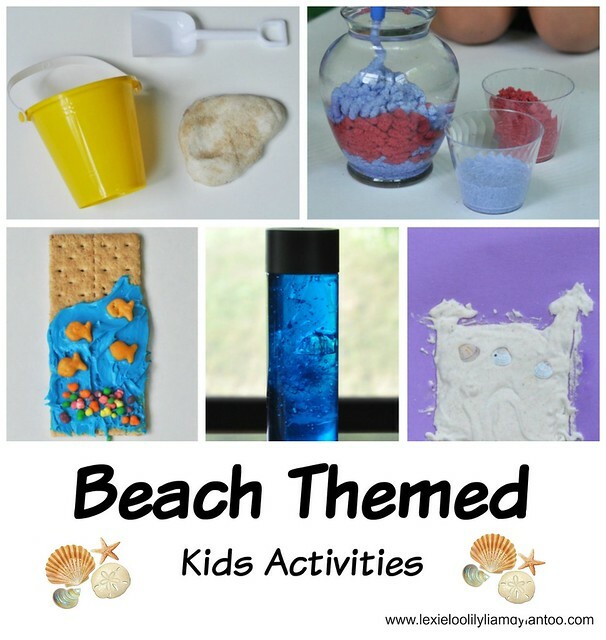 Sounds like you have some great family leisure resources where you live - like a spray park! Are these state funded (Parks and Rec!) where you live? I also have to ask what S'mores are as everyone mentions them and I don't have a clue what they are! You sound like a fun mama! Yes, the parks are free here. The closest one is about 25 minutes away, but we stay for hours, so it's worth it! And s'mores are roasted marshmallows placed between graham crackers with a piece of chocolate. SO good! Great list!! I especially love your ideas of visiting a different park every week and keeping a summer memory journal. We may just have to add those to our summer bucket list! Thank you, Sarah! Each child has a journal, and they use the same one each year!